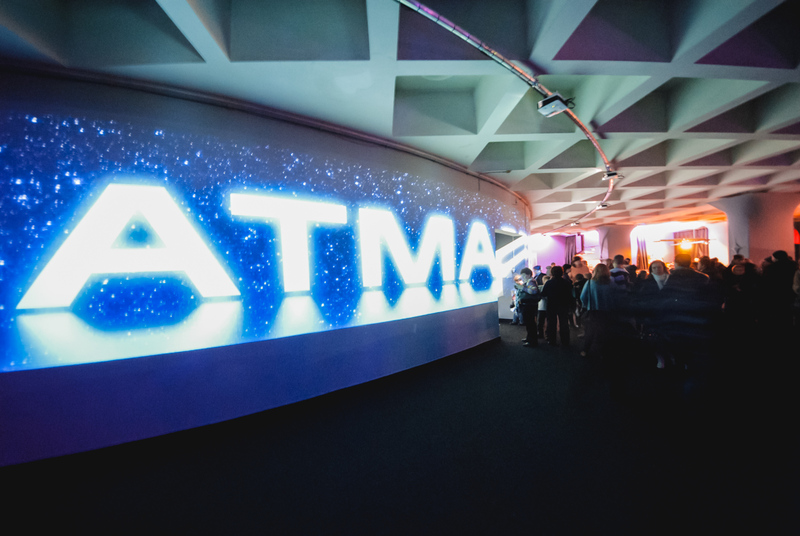 Visitors to ATMASFERA360 in Kiev, Ukraine are welcomed by video effects projected onto the stairs; the entrance is surrounded by video panorama; and the Space Café entices patrons with a projected ‘space menu’. 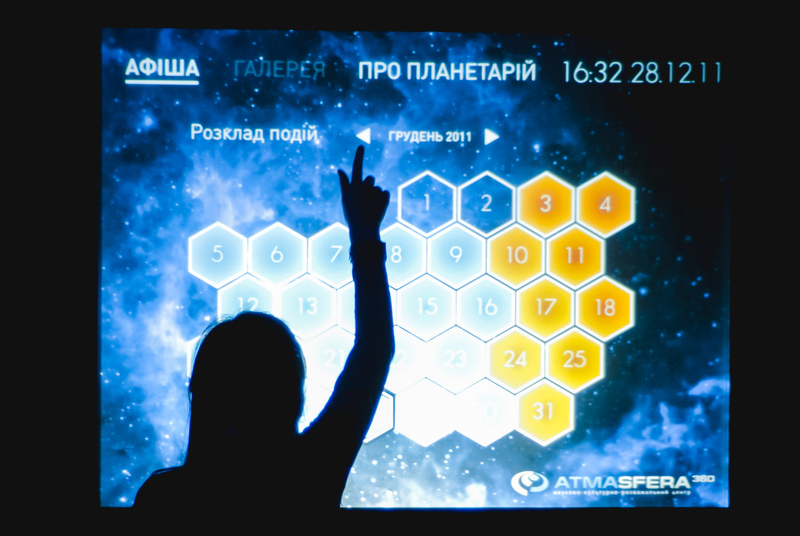 The Play Zone is filled with dynamic video installations, games on interactive touch-surfaces and augmented reality. 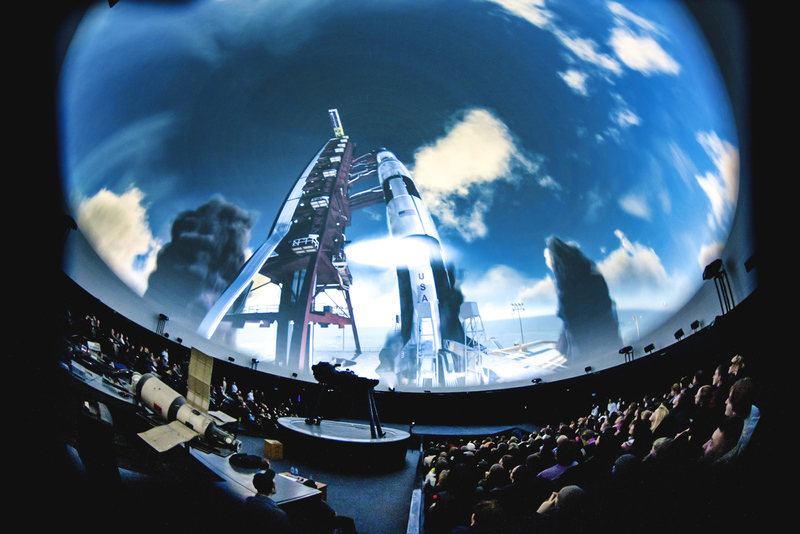 At the heart of the renovation is a new 23 meter dome screen and Fulldome.pro projection system with 5K resolution.